It looks like being a busy month in Sydney with the Sydney Writers’ Festival officially kicking off next Tuesday with Mohsin Hamid’s Opening Address, followed by the Sydney Film Festival which opens with Ruben Guthrie on 3 June (http://www.sff.org.au/). There is something of a tradition in the weeks leading up to these festivals for various people and organisations to make their selections/predictions on what will be the”must see events of the festival. As we don’t want to be left out, Rochford Street Review has decided to join this tradition and make our selection of the “must see” events of the festivals. Today we start with the Sydney Writers’ Festival and next week we will cover the Sydney Film Festival. While the SWF doesn’t officially kick off until next week a number of events have crept outside of the official festival time frame of 18 to 24 May. One of the highlights, for example, took place on 1 May when former Prime Minister Julia Gillard was ‘in conversation’ with Jamila Rizvi. Editor in Chief of the Mamamia Women’s Network websites, on the theme of “Standing for Something (Standing for Something – the raison d’etre of Julia Gillard: Linda Adair & Lucinda Adair-Roberts reflect on a conversation). This was followed on 8 May by another sold out event – James Patterson on The Rise and Rise of the World’s Biggest Author. This weekend Rochford Street Review will be heading up to the mountains to Varuna, The National Writers House in Katoomba for a weekend of events leading into Festival week. We are looking forward to Whispering Trees, which is described as an “atmospheric sound installation created by local artists Solange Kershaw and Damian Castaldi in collaboration with local poets Mark O’Flynn, Vanessa Kirkpatrick, Emma Brazil and Craig Billingham, and micro fiction author Amanda Kaye”. The installation is set in Varuna’s gardens and we will be checking the weekend weather forecasts with fingers crossed. At 2pm on 16th there is a session where the poets and sound artists who took part in the installation will discuss the work and the process which brought it together. Staying at Varuna, Sunday afternoon sees the storytellers of Yamakarra! take centre stage with a discussion about their history followed by the telling of their stories. Yamakarra! is built on the memories of Liza Kennedy (1902-1996) and it celebrates a group of Aboriginal people whose country lies between Cobar and Ivanhoe in far western NSW. Lack of water in this region meant that the grazing industry did not take hold until the second half of the 19th century, so Aunty Liza (Liza Kennedy) grew up with people who had been born before that industry took over their country. Full details of SWF activities in Katoomba are available from http://www.varuna.com.au/varuna/index.php/varuna-sydney-writers-festival. 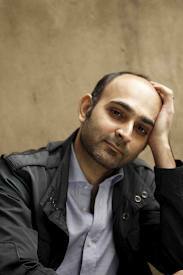 The next entry in our diary is Mohsin Hamid’s Opening Address ‘Life in the Time of Permawar’ on 19th May (Roslyn Packer Theatre, Walsh Bay). Hamid, who is the author of three novels, Moth Smoke, The Reluctant Fundamentalist which was shortlisted for the Man Booker Prize, and How to Get Filthy Rich in Rising Asia, as well as a book of essays, Discontent and Its Civilizations, will speak on how do we live in era of growing uncertainty and incessant conflict and what role does fiction play in such a world. Daniel Mendelsohn and David Malouf in Writers on Writers: Malouf and Mendelsohn on the Classics – American memoirist and critic Daniel Mendelsohn and Australian writer and poet David Malouf discuss their appreciation for the classics. Malouf’s novel Ransom is an elegant riff on the Iliad, and was described as ‘profound and successful’ by Mendelsohn in The New Yorker. Mendelsohn’s newest book is an intimate portrait of him and his father as they follow in the footsteps of Homer’s Odyssey. They will both consider on why ancient narratives hold such power today. Thursday 21 May. 11.30am. Roslyn Packer Theatre Walsh Bay. Kate Grenville: One Life. In conversation with Tegan Bennett Daylight. Grenville’s latest book is based on fragments of memoirs left by her mother. 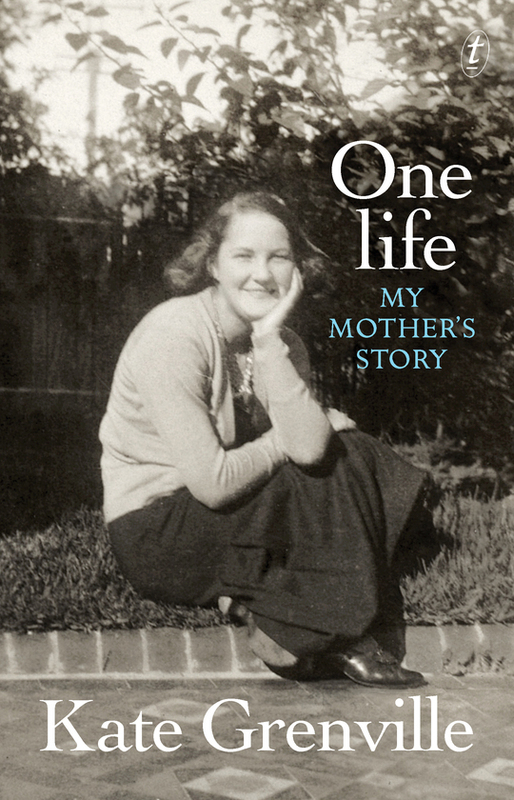 One Life is a daughter’s intimate account of a mother who mixed ambition with domesticity at a time of great change for women. Thursday 21 May. 1.30pm. Roslyn Packer Theatre Walsh Bay. Helen Garner: How Can We Write About Darkness? Garner will share a few of the many sources that have inspired her non-fiction writing, from crime-scene photo archives to the poetry of Charles Reznikoff and the writings of Janet Malcolm. She will talk to Cath Keenan following the talk. Thursday 21 May. 8.30pm. City Recital Hall. Writing Family: Kate Grenville, Romona Koval and Barrie Cassidy. Caroline Overington talks to three Australian writers about the delicacies, drawbacks and rewards of writing about family. Friday 22 May. 11.30pm. Roslyn Packer Theatre Walsh Bay. Also on the agenda will be the MCA Zine Fair which will run from Friday 22 May 5pm through to Sunday 24 at 4.30pm at the Museum of Contemporary Art. In addition to the central Sydney locations there are a range of activities and workshops across Sydney from Auburn to Sutherland. A highlight for anyone interested in writing and publishing poetry would have to be ‘Get Your Poetry Up and Out There’ at Parramatta Artists Studios, Level Two, 68 Macquarie St, Parramatta on Thursday 21 May. This panel discussion is designed to cover all the ways of getting your poetry noticed from magazine and book publishing to performing, blogging and YouTubing and features Elizabeth Allen (Vagabond Press), Fiona Wright (Giramondo Publishing), Michelle Cahill (Mascara Literary Review) and Ahmad Al Rady (Bankstown Poetry Slam). Mark Roberts is a Sydney based writer and critic. He is currently editor of Rochford Street Review and is Poetry Editor for Social Alternatives journal. This entry was posted in Issue 14, Sydney Writers' Festival and tagged Ahmad Al Rady, Ali Cobby Eckermann, Amanda Kaye, Barrie Cassidy, Damian Castaldi, Daniel Mendelsohn, David Malouf, Elizabeth Allen, Elizabeth Wymarra, Emma Brazil and Craig Billingham, Fiona Wright, Helen Garner, James Patterson, Julia Gillard, Kate Grenville, Ken Canning, Lionel Fogarty, Liza Kennedy, Lorna Munro, Maggie Walsh, Mark O’Flynn, Michelle Cahill, Mohsin Hamid, Romona Koval, Ruben Guthrie, Solange Kershaw, Vanessa Kirkpatrick, Varuna, Yamakarra! by Mark Roberts. Bookmark the permalink.